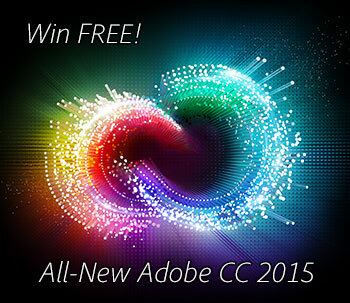 Last June, Adobe shipped the new CC 2014 product line, a major milestone of creative tools and services that upgrades last year’s CC 2013 version, which itself replaced CS6 from 2012. This latest CC 2014 release contains over 1,000 new features and innovations compared to CS6 (across all apps), and it is available only via Creative Cloud membership. As both CC 2014 and CC 2013 came out in mid-June, we expect the annual major release cycle to soon begin anew with the imminent launch of CC 2015… And that is exactly what we’re giving away for free below, and this offer is open to everyone world­wide. Update: Now confirmed! The official shipping date for CC 2015 will be on June 16th. In all, Creative Cloud 2015 will come with over a dozen new desk­top applica­tions (Photoshop CC 2015, Illus­trator CC 2015, InDesign CC 2015, Muse CC 2015, and all your favorites), together with other comple­mentary tools and services (such as Behance ProSite, Typekit, Creative Cloud Market) and more… In fact, the all-new Light­room CC 2015 plus Acrobat DC Pro are already out today and available for download. See the entire contents of what’s in Creative Cloud, where all ongoing upgrades are auto­matic­ally included at no addi­tional cost. Note that this offer is limited to one (1) purchase of one (1) discounted Creative Cloud Complete annual membership per customer – and may not be assigned, exchanged, sold, transferred, or redeemed for cash. Are Lightroom 6 and Lightroom CC the same? 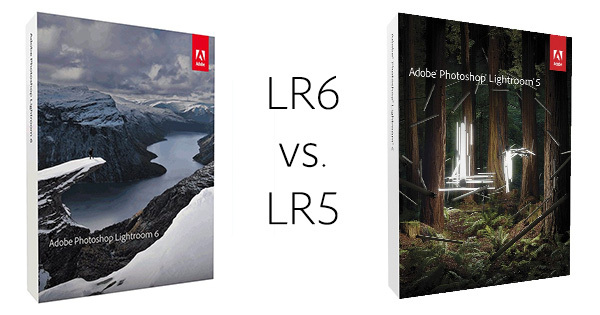 If not, then what are all the differences between Lightroom 6 vs. Lightroom CC? …so we thought it was time to write a new article about this topic. Lightroom 6 is the core program running on your desktop – the new version that follows Lightroom 5, with significant features and improvements added since LR5. Adobe is offering two options to customers, and the Lightroom 6 route is a perpetual license – basically standalone static software. The updates that Lightroom 6 users receive going forward will be for bug fixes and new camera and lens profiles only, but not new feature upgrades that Lightroom CC customers will receive on an ongoing basis. Lightroom CC 2015 takes Lightroom 6 and offers it via subscription together with access to integrated mobile apps (like Lightroom Mobile) and online services (like Lightroom Web with unlimited online photo storage). Lightroom CC also gives you ongoing new feature updates as soon as they are available – including the popular Dehaze and Boundary Warp functions, as well as the new Guided Upright feature and Local B&W Adjustment Sliders – none of which are in LR6. What’s the Difference Between Lightroom 6/CC vs. 5 – What’s New? The long-awaited Adobe Lightroom 6/CC began shipping this week, and has got some folks pretty excited about the new features and capabilities… There’s a long list of them given further below, but some of the highlights include much improved performance, facial recognition, photo merge for both HDR and panorama, advanced video slideshows, improved web galleries, new Pet Eye tool, touch-enabled PC support, plus GPU acceleration and native 64-bit architecture on Windows and Mac. One big change is the naming difference and what you get with the two options (Lightroom 6 vs. Lightroom CC). You can still buy a standalone perpetual version as before (either full or upgrade from an older release) – the product is then called Lightroom 6 and it will still receive bug fixes and new camera/lens additions, but will not get ongoing new feature updates and does not have access to online LR features and apps such as Lightroom Mobile and Lightroom web. 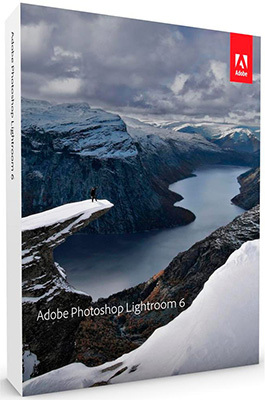 Yes – the new release of Adobe Photoshop Lightroom 6 is just out and now shipping! There was no beta version/period this time, so we go straight to the final product. 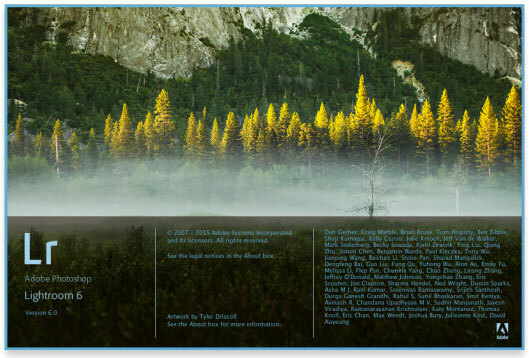 And as in the past, this release will work side-by-side with any previous revisions of Lightroom you may have. If you’ve got an earlier version installed on your system(s), Lightroom 6 will ask if you’d like to upgrade your catalog and copy everything over. SAN JOSE, Calif.—April 1, 2015—Following a recent software trend for skipping version numbers, reliable sources indicate that Adobe Systems will be foregoing the long-anticipated Acrobat 12 and leaping hundreds of releases higher instead. So what in fact will the next release of Acrobat be called? Adobe himself was reluctant to give further details, but a leaked company document clearly indicates the next release will be dubbed Acrobat 600 – leap­frogging a full 588(!) revisions over the widely-expected Acrobat XII. When confronted with the internal memo, Mr. Adobe relented. “Okay, you got me,” he said. “We’re calling it that because it’s going to be hundreds of times better than the old Acrobat – and if you don’t believe me then just upgrade and see for yourself,” Adobe explained. And now, we finally have some answers, announced by Adobe not as “Acrobat XII” or “Acrobat 12” – but as Acrobat DC, where “DC” stands for Document Cloud. 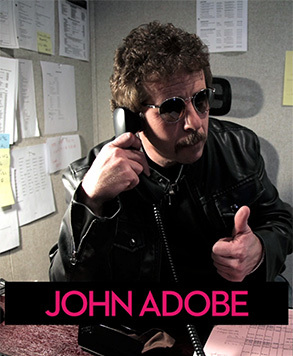 The Adobe “Document Cloud”? What does that mean? Is this the same brand of Acrobat toolset that we know and love, and use daily? Are there still Pro and Standard desktop tools, and perpetual licenses? Or is this a new type of web-based application or service that we can only use online, or via subscription? Not to worry. Everything is as you want, only better. It looks like this long wait for Acrobat DC was actually worth it… This is Acrobat XII or 12, only raised to the next level. For years it was difficult if not impossible to buy Adobe software online (especially the newer CC subscriptions) and pay with PayPal instead of a credit card or debit card. But finally, great news: Adobe has just made it possible to purchase all software using PayPal in many countries worldwide, so you can now buy Creative Cloud (or CS6) without a credit card. These countries include the US, Canada, Mexico, United Kingdom, Brazil, Korea, Singapore, Thailand, Malaysia, Indonesia, Philippines, and much of Europe (Austria, Belgium, Czech Republic, Finland, France, Germany, Ireland, Italy, Luxembourg, the Netherlands, Poland, Portugal and Spain). Alternatively, payment using Switch or Solo is also supported in the UK. 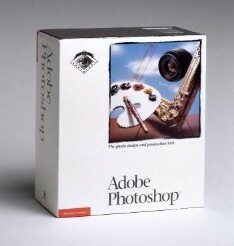 Hard to believe, but today Adobe Photoshop officially celebrates its 25th anniversary (or birthday, depending on how you look at it)… The first version of Photoshop shipped on February 19th, 1990, at a price of US$895.00. Adjusted for inflation, in today’s dollars that would cost almost $1,700! Now, of course, there are tens of millions of users of Photoshop who can pay less than $10 a month for the latest-and-greatest release of this iconic, industry-leading tool.